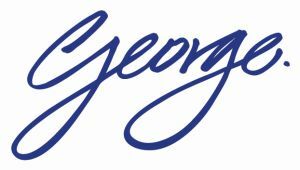 Hello again, George here. I thought I'd give you a break from talking about a specific polymer and take the opportunity to discuss one of our most innovative developments. The biggest issue we faced at the time of new product development, back in the day, was ensuring suitability of the polymer selected for the application. As anyone in the rubber industry will testify, a poor selection at this initial stage can lead to premature failure of the component and all of the associated costs. In the past we have created and published chemical resistance bibles that needed to be updated and reissued every year as new chemicals were introduced or formulations for compounds changed. Moving forward into the digital age and we now offer our customers our online Media Compatibility Tool. As with all of the products and services we provide, our aspiration is to be innovative rather than imitate what others are doing. 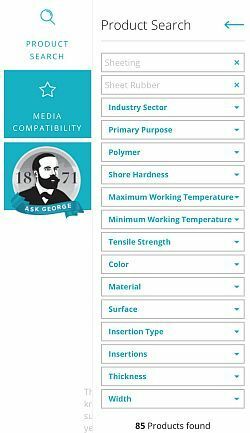 In this instance, our online Media Compatibility Tool takes all of the basic data and technical information and provides a user-friendly interface. 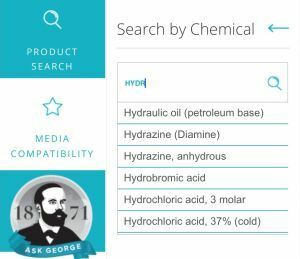 Simply start to type in the chemical you are working with and our Media Compatibility Tool will automatically give you a number of chemical compounds to choose from. Once selected, you will be presented with material options each of which are offered with a star rating aiding your material choice. We have opted for a simple four star rating system for ease of material selection. Four stars indicating that the material is judged ti be suitable through to one star to indicate the material is unsuitable for use in contact with the substance. Once the correct polymer type for your application has been chosen, the next stage of material selection is to identify the grade of material you need. 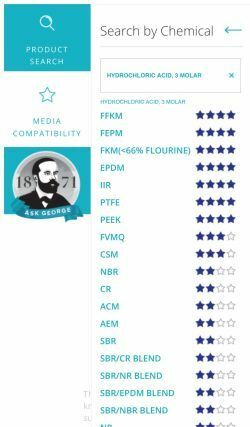 This in itself can be a daunting task comparing all of the variable parameters on each of the materials offered, and to select the one which ticks all the boxes for your application. Fortunately, my boffins back at head office in Wolverhampton have thought of this too and have developed a product search function. This in itself allows you to enter a number of preset parameters such a polymer type, temperature range, tensile strength, hardness and elongation at break to name but a few. Once entered, this will then generate a shortlist of materials for your consideration. You will always see that we quality our material selection tools with the statement that 'you still need to satisfy yourself that it is suitable as we cannot factor in all of the operating parameters'. Once again, I hope that the latest addition of my weekly blog series has been both of interest and will assist with future rubber material selection. However, as always, we are more than happy to offer technical support and assistance by phone or email. Please feel free to contact Chris Hickson, our sheeting sales manager on 01902 30 77 11 or email us.